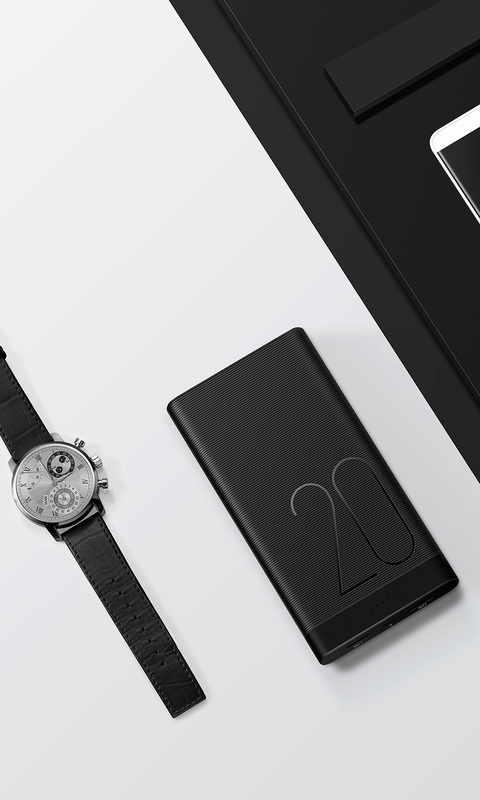 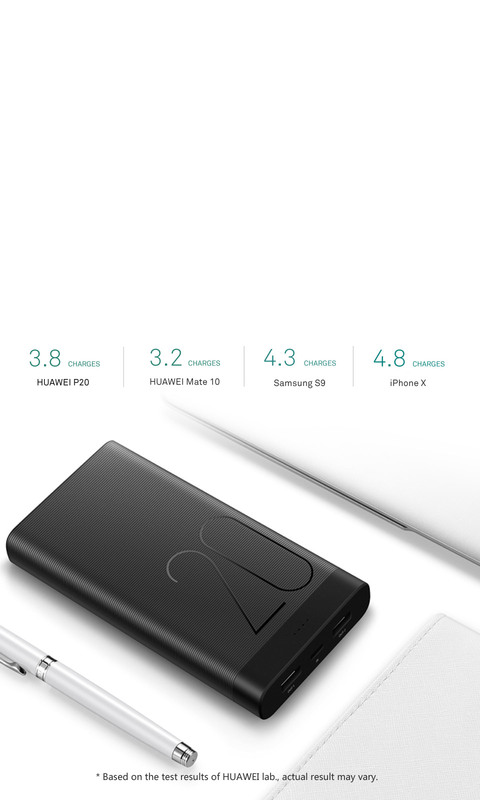 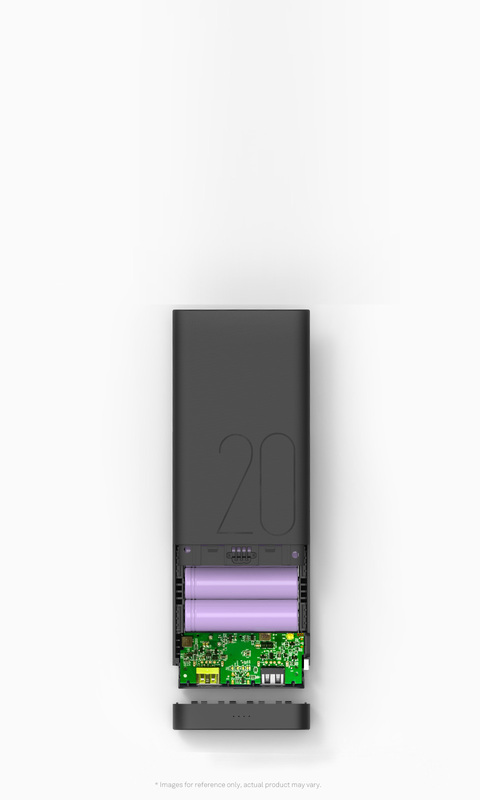 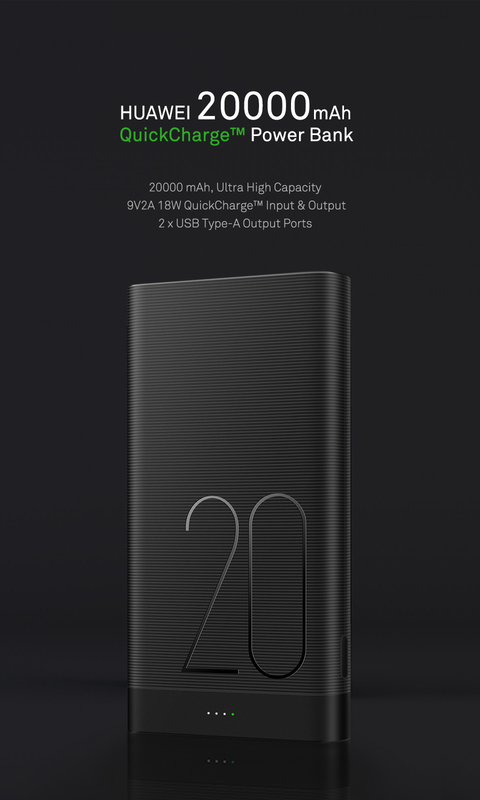 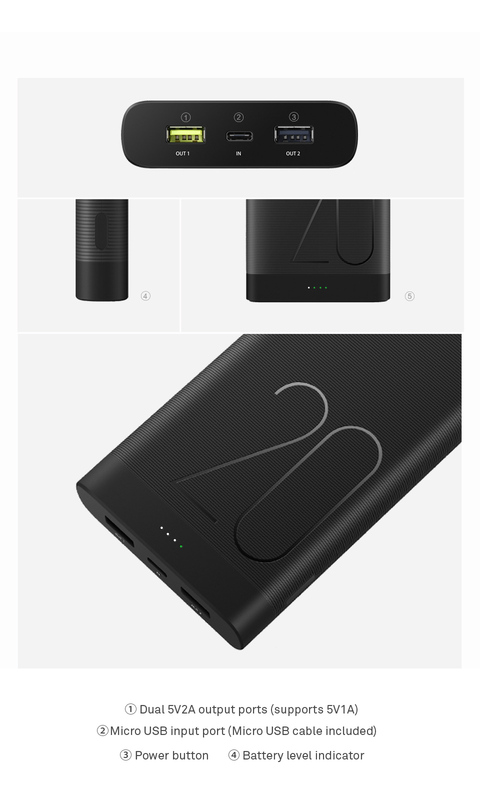 With 20000 mAh ultra high capacity, it can charge your device multiple times in case of heavy usage or long trip; meets aviation regulations, use it in airplanes freely. 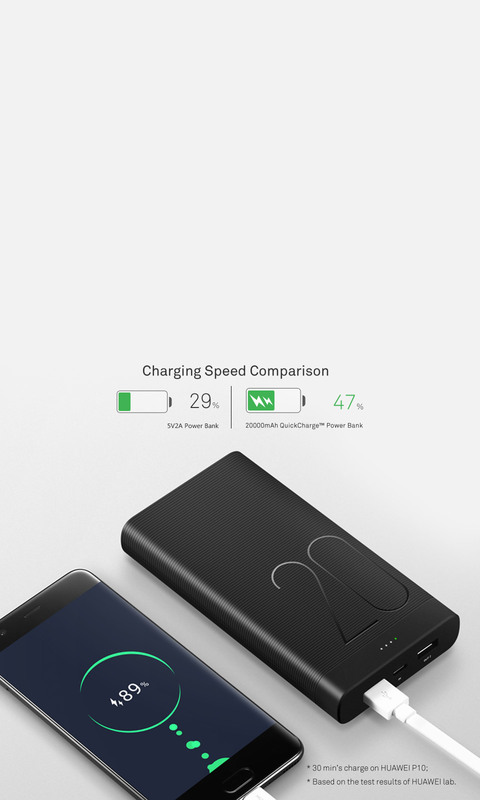 Supports both HUAWEI & Qualcomm® 9V2A & 5V2A Quick Charge™, Compatible with HUAWEI, Honor & other Android as well as iOS smartphones, 9V2A 18W, 5V2A 10V or 5V1A 5W auto power input & output adjustment. 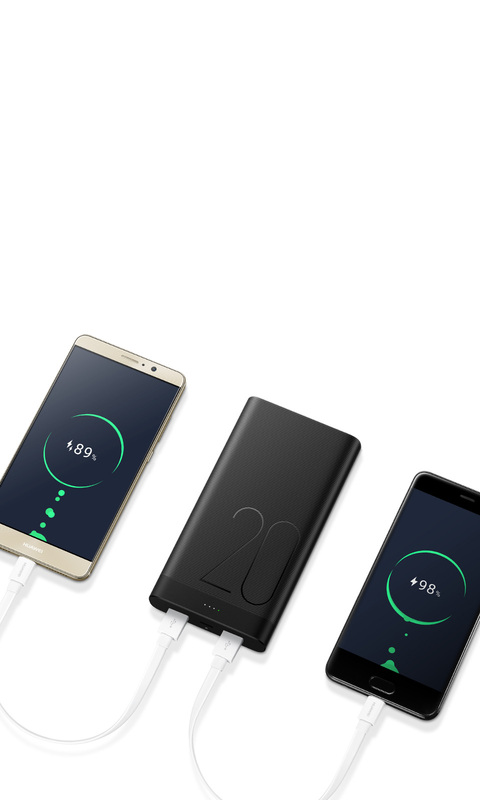 Dual USB Type-A output ports that can charge multiple devices simultaneously; adjusts output power automatically to charge smartphones, tablets & cameras at full speed. 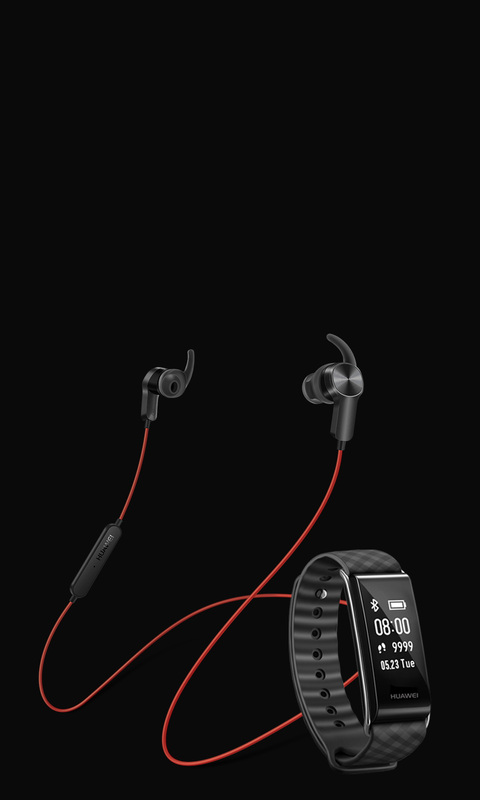 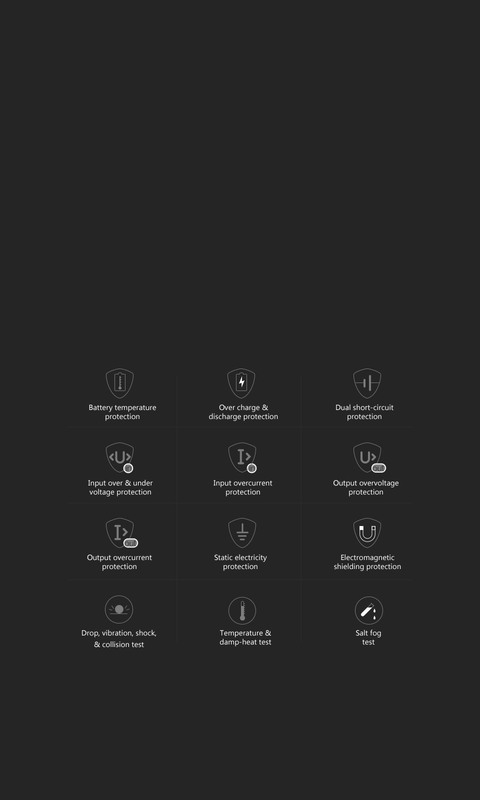 Simply double press the power button to activate trickle charging mode, which can charge Bluetooth® headphones, wristbands & other accessories safely.